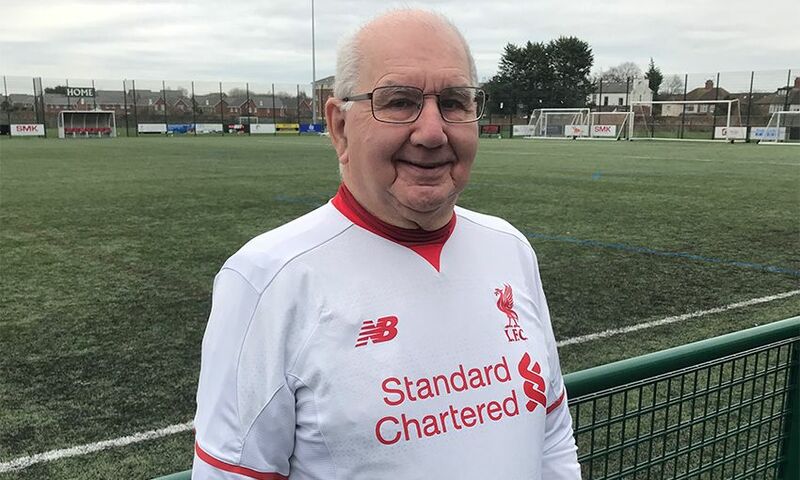 When 83-year-old Liverpool fan Sol Sorsky first attended Red Neighbours’ walking football, his limited fitness levels saw him only able take up the role of 'ball boy'. Five months on, Sol has seen his fitness and confidence grow so much that he now takes part in the sessions as a fully-fledged player, twice a week. Progressing from simply collecting the ball when it went out of play, Sol, from Old Swan, eventually laced up his boots to participate in the faster-paced matches on a Tuesday, alongside the Friday sessions he had joined straight away. Since then, Sol hasn’t looked back and has further developed his skills on the pitch. “Walking football has been absolutely brilliant for me. When I first started playing I wasn’t that confident, but as I’ve continued to come, I feel both my fitness and ability on the ball have improved massively,” he said. Twice a week, local men between the ages of 50 and 92 attend Red Neighbours’ walking football sessions at Anfield Sports and Community Centre. Led by Red Neighbours team member Bill Bygroves, the sessions consist of a high-tempo warm-up with stretching, followed by a series of passing drills and competitive matches. Walking football is part of Red Neighbours’ aim to support local residents and schools in the Anfield community, focusing on four key areas: food poverty and education; support for the elderly community; encouraging a physically active community; and creating memorable experiences for young people. Sessions are held at Anfield Sports and Community Centre every Tuesday from 3pm to 4pm and every Friday from 11am to 12pm.